The second effort from this Milwaukee Zydeco quintet shows substantial growth both in production values, and ensemble sound. 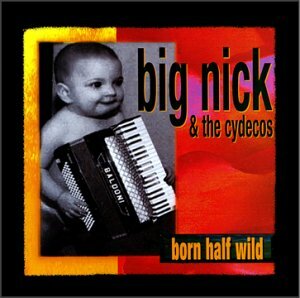 This is Big Nick and the Cydeco's second CD, following their first release, "Honey Bee" in the summer of 1998. This recording shows the considerable progress the band has made in compositional ability and technical ability, as well as their musical movement into new genres. The music is spirited, fun, and spawned from Eunice Louisiana's famed Zydeco and Cajun roots. Listen and see why the group commands such regional popularity. Produced by Joe Puerta Of Bruce Hornsby and the Range.